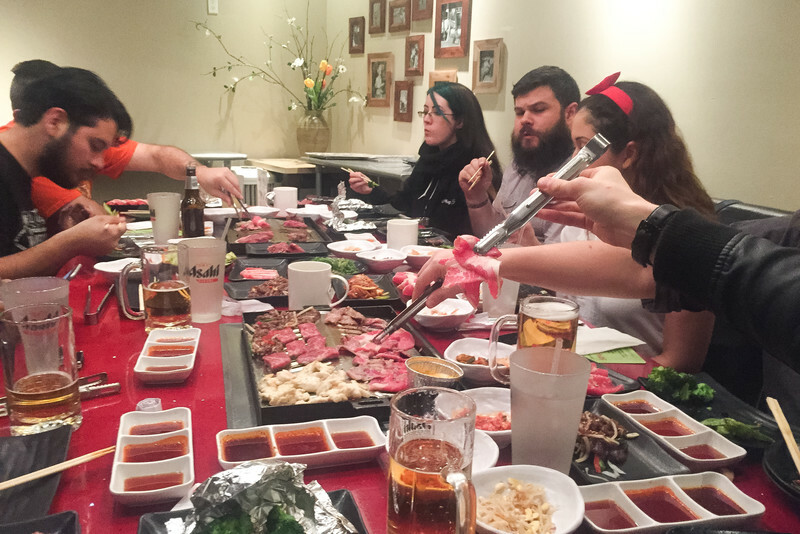 If there is one takeaway from my week in Las Vegas this past month, it’s the Gangnam Asian Barbeque. I’m only half-joking! In reality, WPPI reenergized my love for impromptu production and imagery. I’m so numb to the call sheets, clothing and overall client expectation. It was a breath of fresh air to do something completely off the cuff and on your own terms. While the east coast was getting slammed by a snow storm, myself and my assistant Jacob were officially stuck in Las Vegas, with no plans or no events to attend. Our flights were just cancelled, with no warning or delay. The first available flight back wasn’t until two days later. So, instead of sulking in our hotel room, we decided to take advantage of the extra hours in Las Vegas. 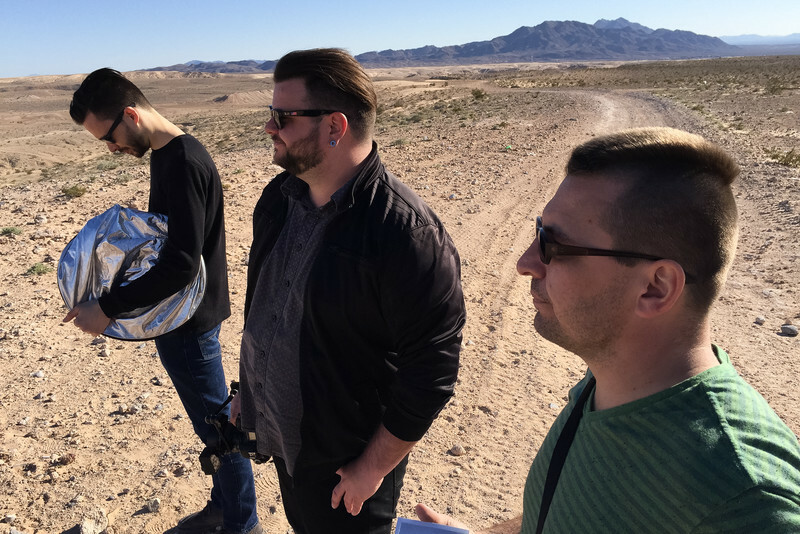 Along with our friend David Crewe from Phlearn, who decided to stick around as well, we began the planning process for an edgy editorial out in the desert hills. I scoured Pinterest and Google Images for about 10 minutes and found the direction I wanted to head. As we headed off to the Asian BBQ, David and I sent out the correspondence to make it happen. 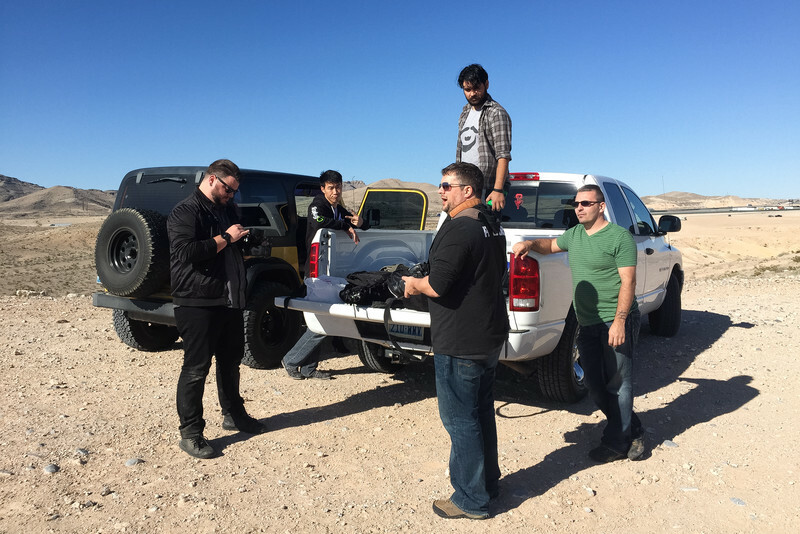 Shortly after, we had a model, makeup artist and a full crew of people who wanted to head out to the rocky desert landscape with us. The missing piece was styling, so we asked our model to bring what she could and we would fill it out, even if we had to purchase clothing and return it. Which is exactly what happened. We had all the right pieces for an edgy wardrobe, but it was missing the most important facet of all; a long coat or jacket. 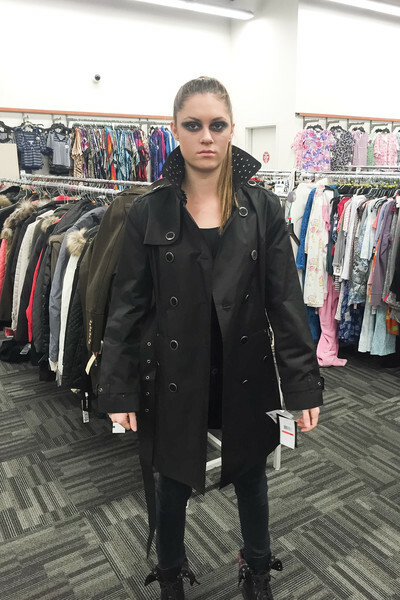 After, the crew met and hit the road in two cars, we made a quick stop by Burlington Coat Factory and we had our model, Taylor, try on several different selections. 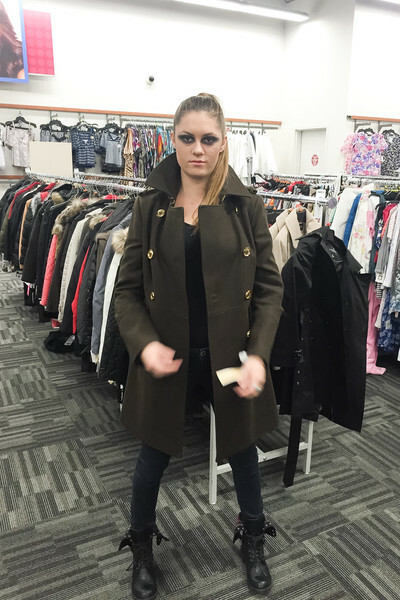 Although the green military jacket was a winner, we decided it better to be safe and stick with the long black coat. 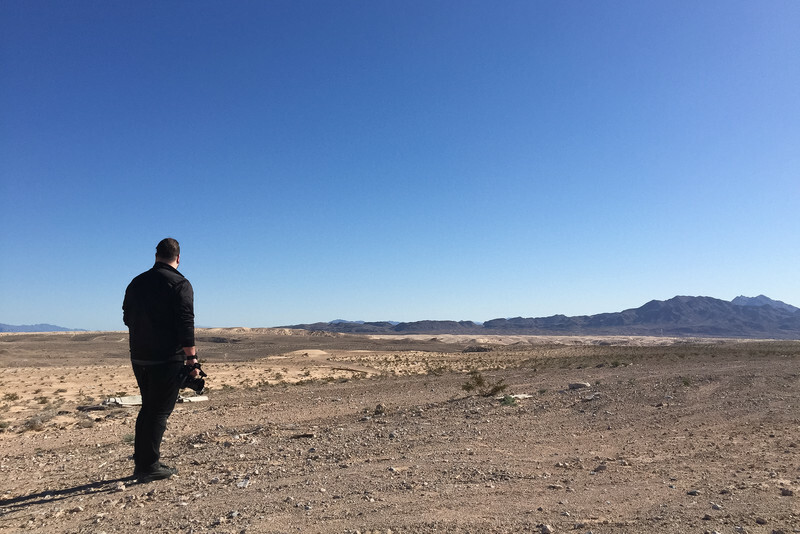 With wardrobe and some accessories in place, we headed out to the very end of Las Vegas Boulevard, where we were met with a massive landscape of desert hills that overlook the city. The weather was perfect and I even enjoyed the strong wind. At first glance, I thought I would be breaking out a strobe, but the natural sunlight was low and beautiful. I decided to shoot only natural light, which I something I hadn’t done in quite some time. I loved the look of the hard sun light against the dark styling. With little fashion experience, our model Taylor did a great job with direction. We starting with walking and movement and went into more posed structured imagery. We only had about 30 minutes with Taylor, so we moved quickly and efficiently. Once I had my shot, I bowed out and let some of the other shooters on set take a stab at it. I guess you could say it was an easy day, a stark contrast from the previous experience at Red Rock Canyon. It was a real pleasure being in such a beautiful place with such talented and friendly folks. Although, you could consider the extra hours in Las Vegas an added expense, the impromptu shooting certainly made it all worth it.